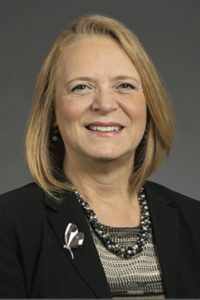 Deborah A. Snyder serves as Chief Information Security Officer (CISO) for New York State, in the Office of Information Technology Services (ITS). In her role, she oversees the Enterprise Information Security Office, and directs a comprehensive program of governance, risk management and compliance functions, vulnerability management, threat intelligence, cyber incident response, and training and exercise services. She provides strategic leadership and vision, and assuring business-aligned, risk-based investments that maximize business opportunity and minimize information and cyber security risk. Ms. Snyder has extensive experience in government program administration, information technology and cyber security policy. She actively supports the State’s efforts to engage citizens and enhance the delivery of government services. She is an acknowledged industry thought-leader, and has been recognized for excellence and outstanding contributions in public programs and the field of cyber security. She serves on the NYS Forum Board of Directors, NY CISO Executive Summit Governing Board, is a State Academy for Public Administration Fellow, and member of the Project Management Institute, InfraGard, Information Systems Security Association (ISSA), Information Systems Audit and Control Association (ISACA), and the Institute of Internal Auditors (IIA). She teaches graduate-level courses, has published numerous articles, and co-authored “SECURE – Insights From The People Who Keep Information Safe,” which offers industry leadership insights and perspective. She is a highly regarded speaker on topics critical to executive-level business and IT professionals.